Dr. Roehmholdt graduated the medical school from Keck School of Medicine. He did his internship at Yale-New Haven Hospital, where he also completed his residency program. A fellowship followed at UCLA Medical Center soon after that. He is specialized and board certified in Pathology. 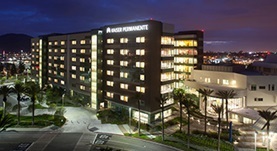 He has been in practice for more than 11 years and is affiliated with Kaiser Permanente Fontana Medical Center. During his career, he has also contributed to 3 publications of medical interest. Dr. Brian Roehmholdt has contributed to 3 publications. Page, K. A.,Chan, O.,Arora, J.,Belfort-Deaguiar, R.,Dzuira, J.,Roehmholdt, B.,Cline, G. W.,Naik, S.,Sinha, R.,Constable, R. T.,Sherwin, R. S.; JAMA. 2013 Jan 2. A case of lichen planus following tdap vaccination. Ghasri, P., Roehmholdt, B.F., Young, L.C. ; J Drugs Dermatol. 2011 Sep.
Development of thyroid storm after surgical resection of a thyrotropin-secreting pituitary adenoma. Page, K.A., Roehmholdt, B.F., Jablonski, M., Mayerson, A.B. ; Endocr Pract. 2008-09-01.